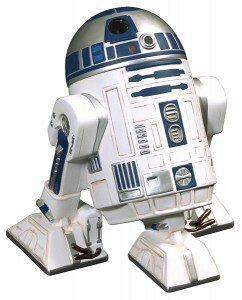 R2D2 – in the right place at the right time for a reason. After reading this amazing piece (thank you David N.) about how R2D2 and Chewie are the real heroes of the Star Wars movies my entire understanding of that galaxy far, far away has been completely transformed. Star Wars geeks everywhere, prepare to have your universe rocked. This entry was posted in commentary, cool links and tagged commentary, cool links on January 30, 2008 by David Eaves. Is it the same article you originally posted? Patch Culture at work! Thank you Day – new link inserted, it was indeed the (awesome) piece.